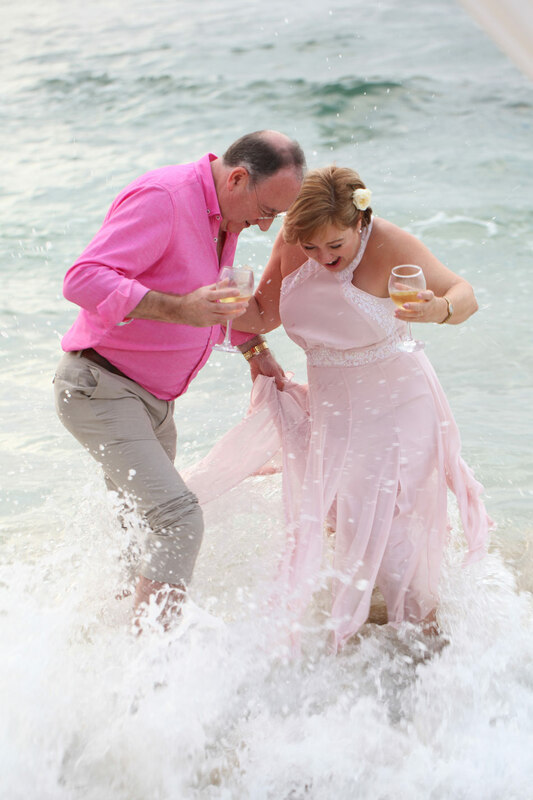 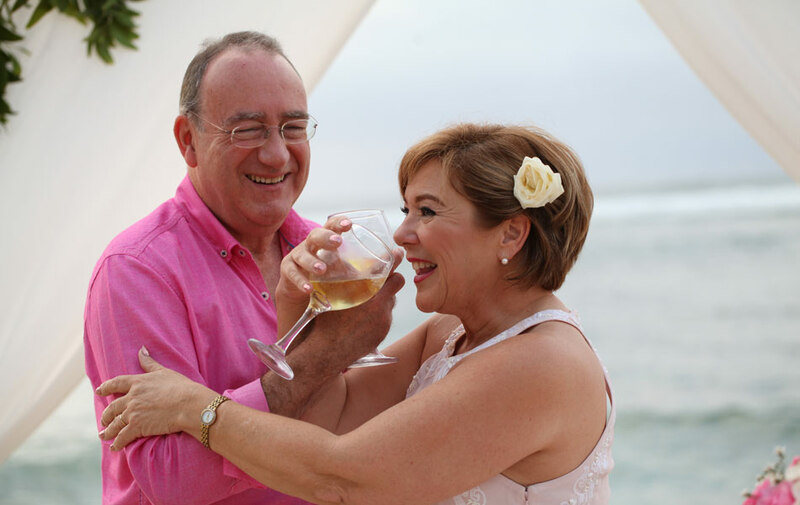 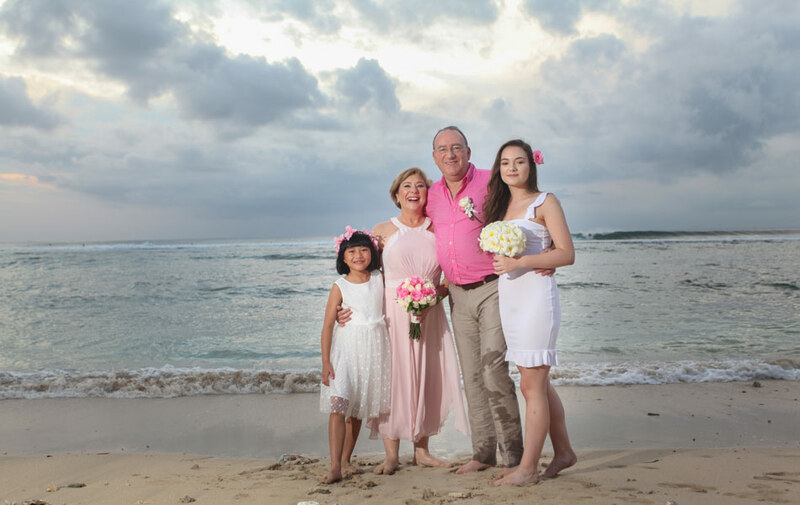 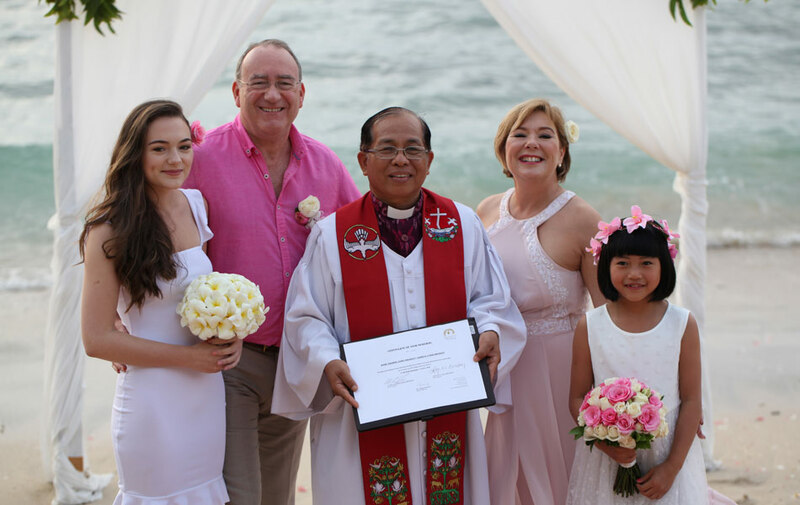 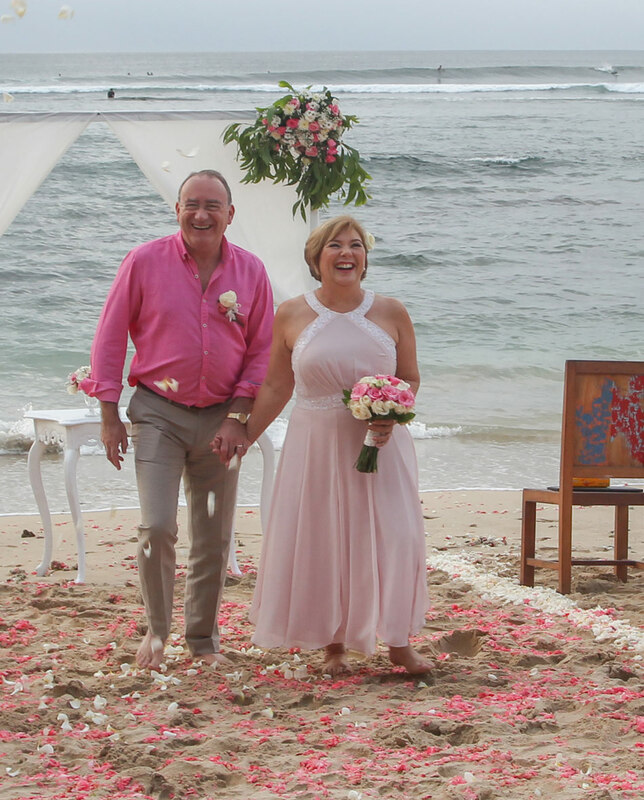 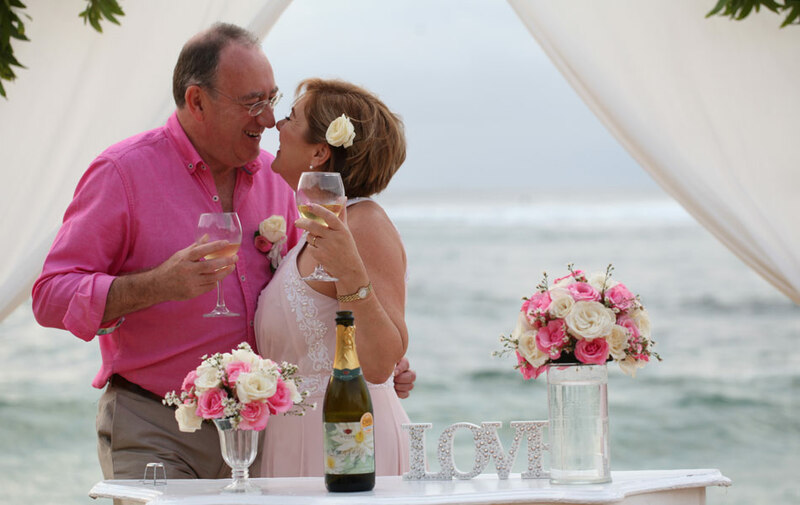 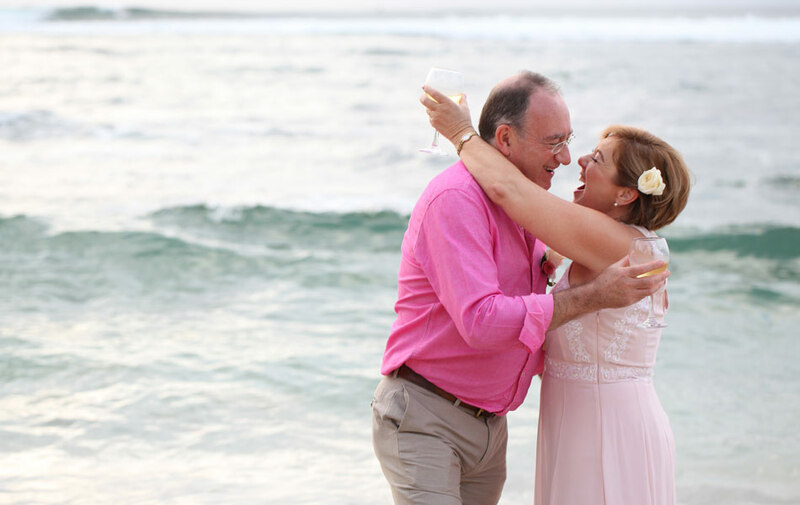 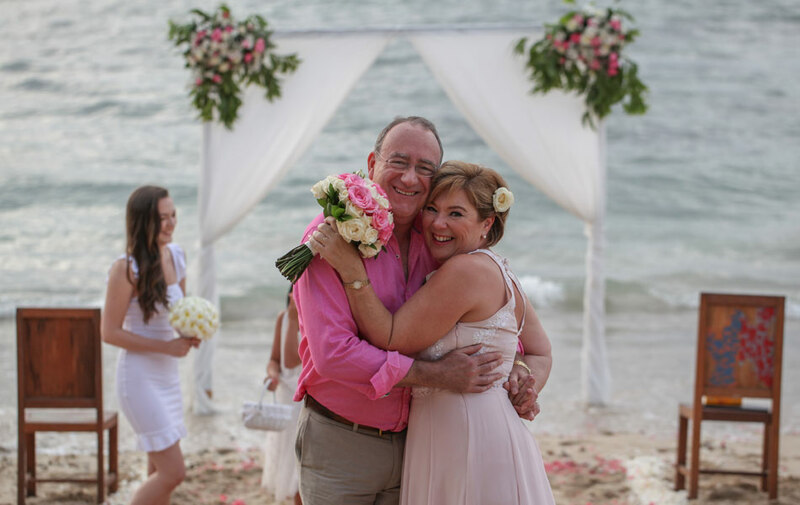 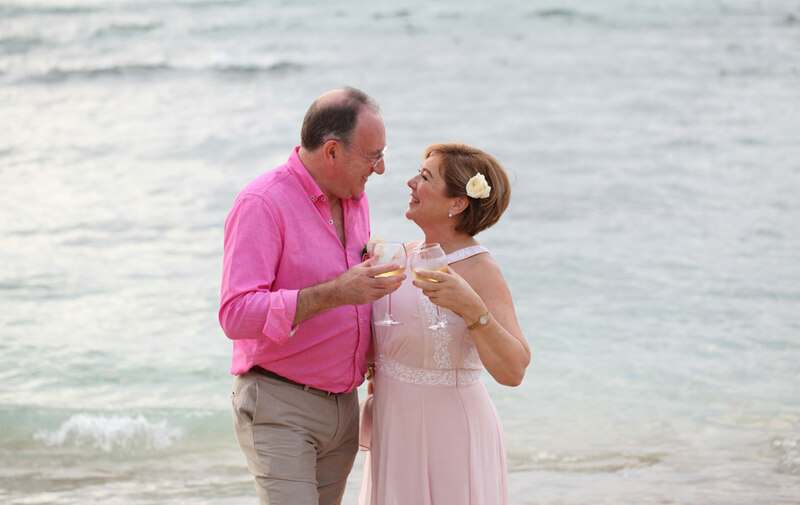 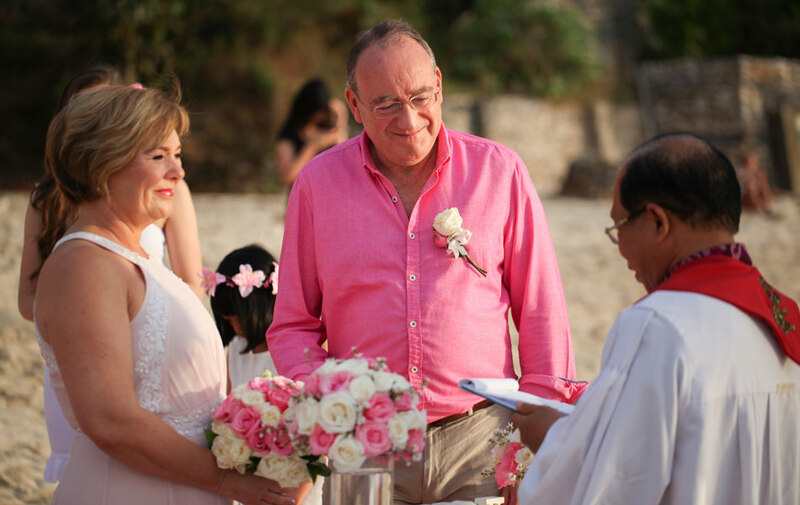 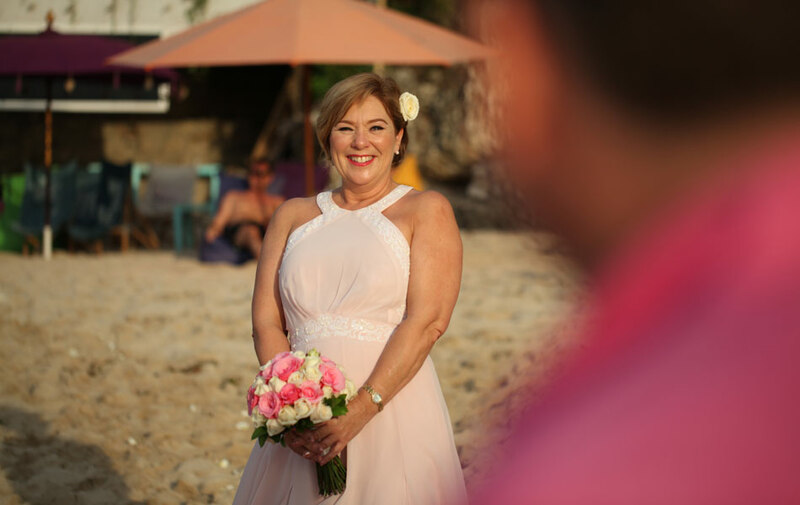 Congratulations to Mark and Jane on Your Special Day in our magnical island of paradise Bali. 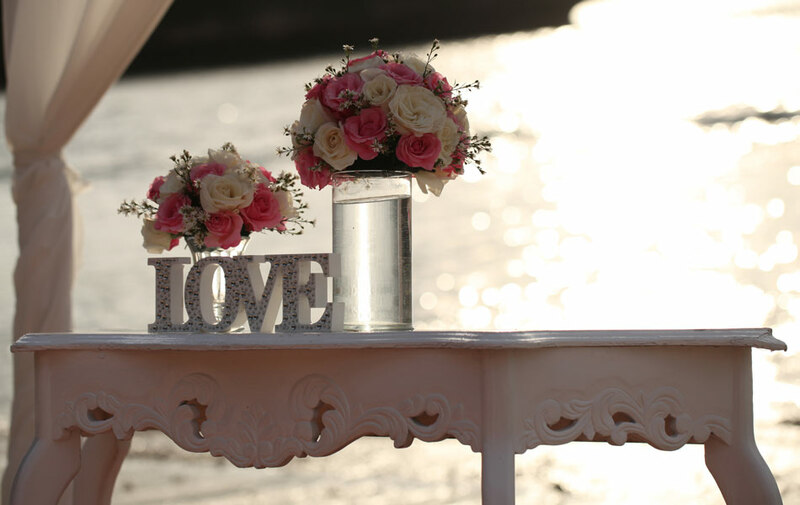 May your day be perfect and full of love, and laughter, and may all your dreams come true and more memories created to last forever. 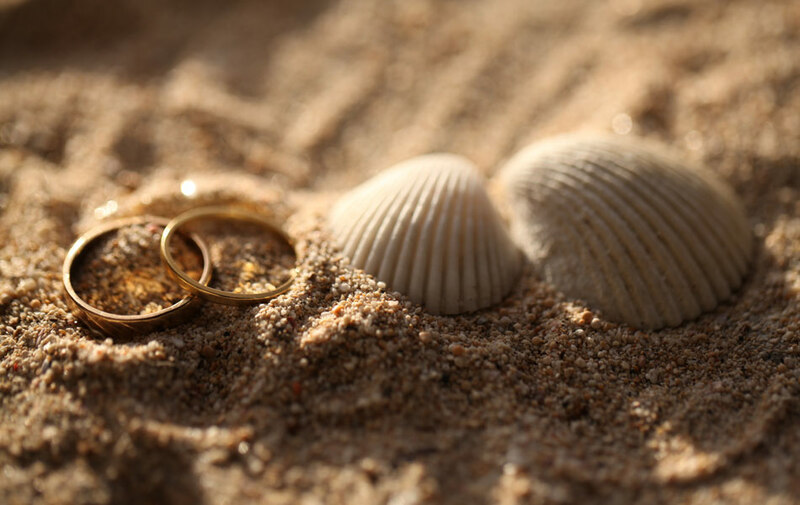 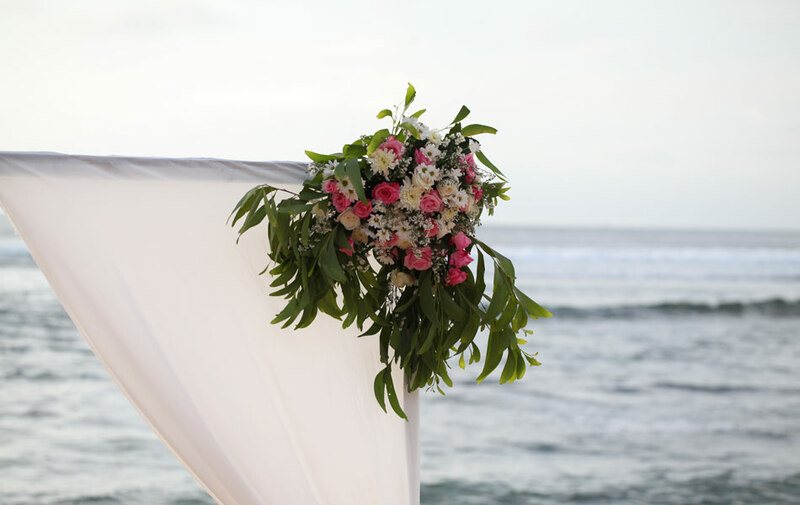 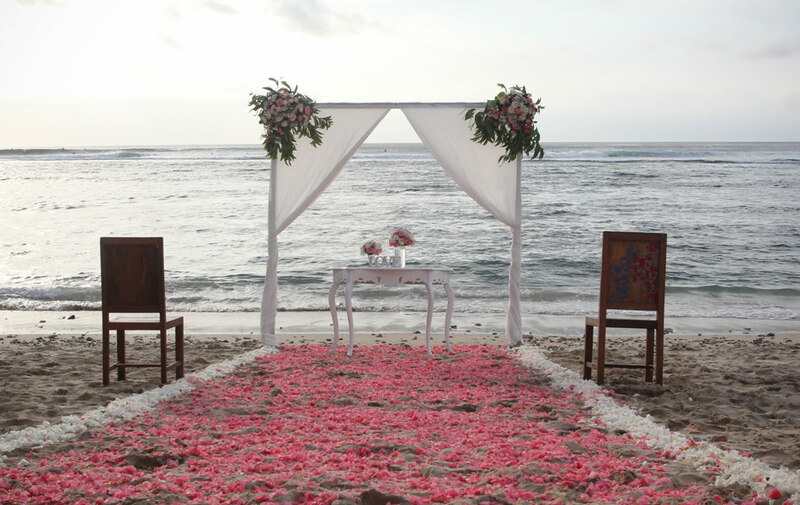 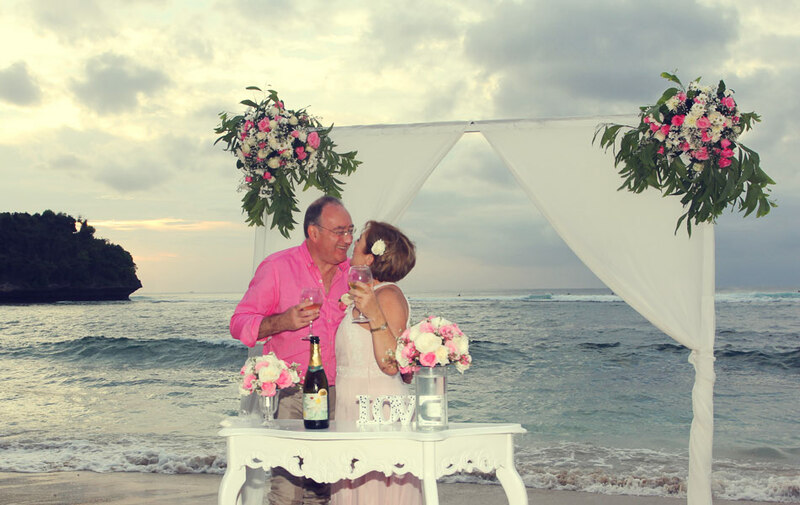 Perfect beach situation with colorful flowers and simple elegant wedding decoration for renewal beach wedding vows in Bali. 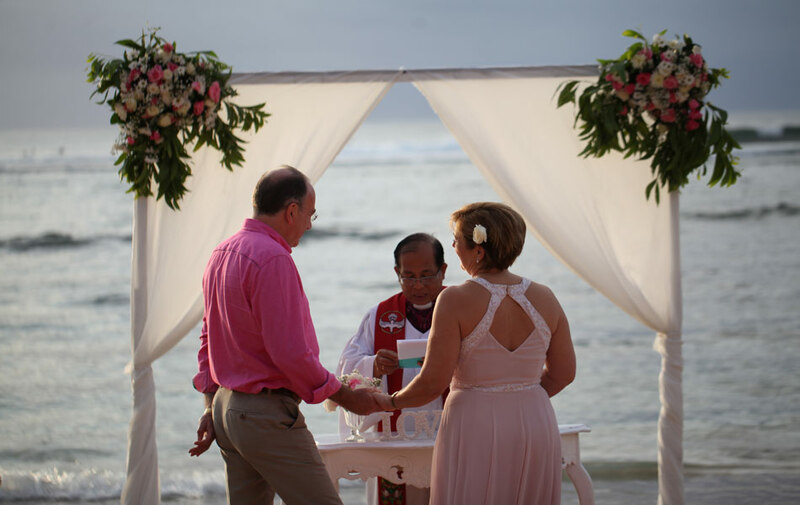 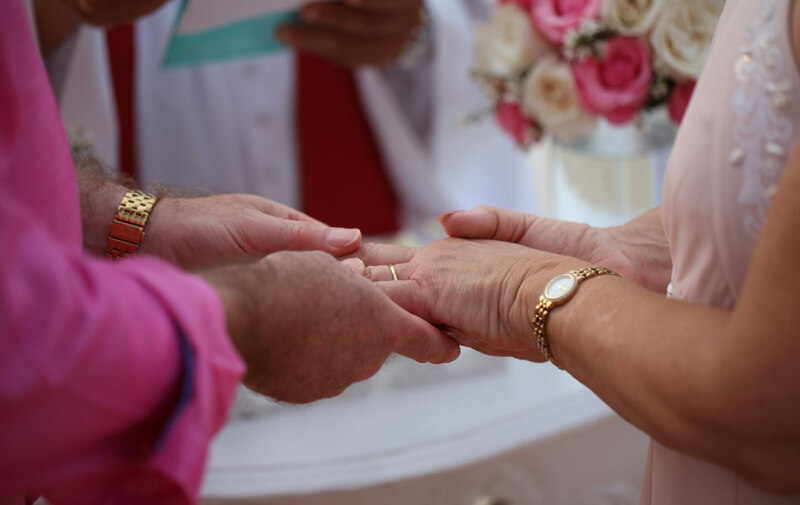 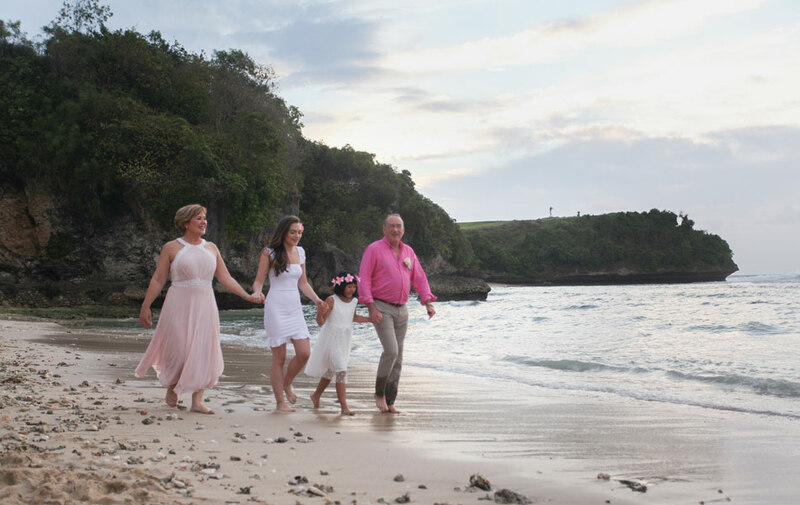 (Source photos and media courtesy of Happy Bali Wedding).